A parliamentary report of 1777 recorded a parish workhouse in operation at Whitchurch for up to 120 inmates. In another report in 1803, Overton was relieving 38 persons in a workhouse. Hampshire: Ashe, Freefolk Manor, Hurstbourne Priors, Overton (2), St Mary Bourne (2), Tufton, Whitchurch (2). The population falling within the union at the 1831 census had been 5,175 with parishes ranging in size from Freefolk Manor (population 73) to Whitchurch itself (1,637). The average annual poor-rate expenditure for the period 1832-35 had been £4,396 or 17s.0d. per head of the population. Initially, the new Whitchurch Union made use of an existing parish workhouse at Overton. 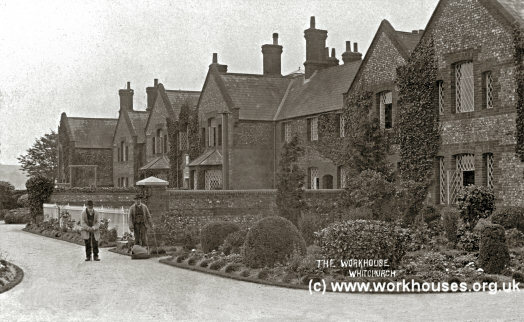 In 1847-8, a new union workhouse was erected in Whitchurch. The building was designed by SO Foden who was the architect of a number of other workhouses including the one at Hungerford. The workhouse layout is shown on the 1910 map below. Whitchurch from the north, early 1900s. The main building had a T-shaped layout with males and females accommodation placed at each side of the central entrance. The central rear wing probably contained the workhouse dining-hall and kitchen. Whitchurch from the north, 2000. Whitchurch entrance from the north-east, 2000. After 1930, the workhouse was redesignated as a Public Assistance Institution. 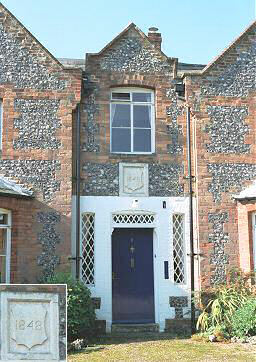 The building, which became known as the Gables, was converted into private housing in 1979. Hampshire Record Office, Sussex Street, Winchester SO23 8TH. Very few records survive — holdings include Guardians' minute books (1835-1930).